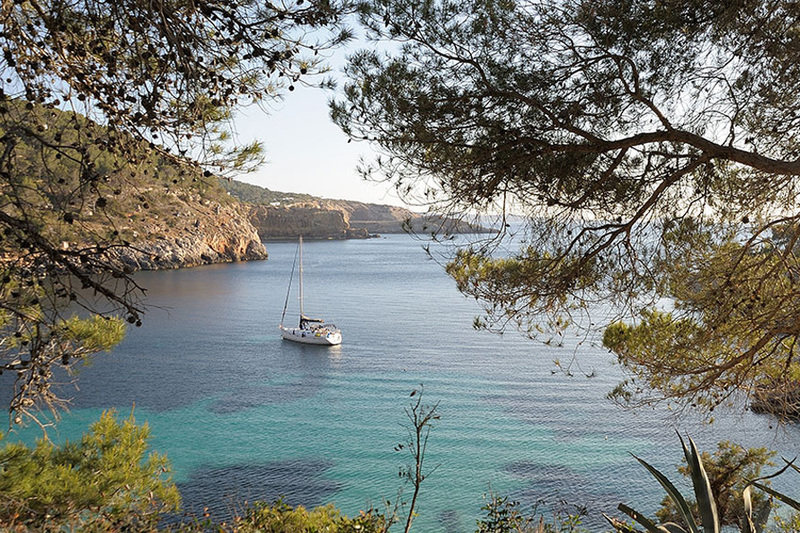 In our first post dedicated to the most beautiful beaches of Ibiza we already talked about Ses Salines, Cala Benirrás, Cala d´ Hort, Aigües Blanques and Platges of Comte, this last destination is one of our maritime routes boarding from San Antonio. But Ibiza has many more beaches worthy of this consideration. For the moment, here you can find five more. It is located in the northeastern part of Ibiza, this virgin beach surrounded by pines is one of the most beautiful of the island. Its seafloor with a soft slope and transparent waters, attracts families and couples that look for a calm beach. From its shore you can see on the horizon the silhouette of the Tagomago's island. Almost virgin, this cove has been really unknown for many people until a few years ago Atzaró chose it to open a restaurant and a beach bar. Here you will find a diverse environment, a lovely view of the Islet of Es Canar and, if there is no wind, transparent waters that are almost like a pool. 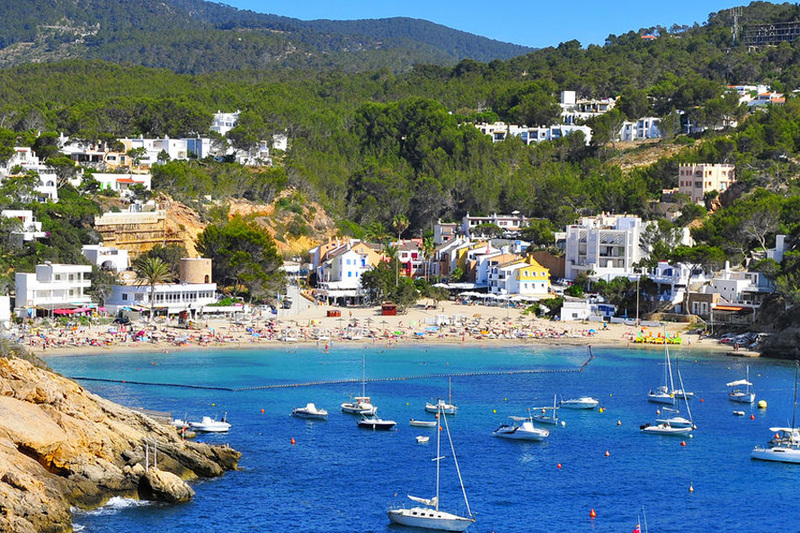 Is one of the most loved beaches among the neighbours of Sant Antoni and Sant Josep. Surrounded by Juniper and Pine trees, this virgin and crescent shaped sandy area offers soften seafloors, turquoise waters and views of Sant Antoni Bay and its luxurious beach club. You can reach this cave by car, by bus or by boat thanks to our round trip route with departure from Sant Antoni Port. One of the most popular coves of the western coast, thanks to the transparency of its waters that also attracts many boats. It is semi urbanized and you will find a wide proposal of restaurants. If you have a craving for delicious seafood paella, book in María Luisa.